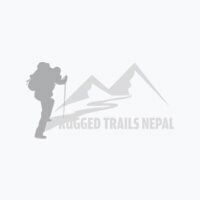 Rugged Trails Nepal is one of the top Trekking And Tour Company located in Kathmandu Nepal, rendering services to the explorers from around the world. Rugged Trails Nepal is a registered Company under the Government of Nepal and recognized by the Ministry of Tourism. We are a team of dedicated and well-experienced people ready to give very special attention to make your trip worthwhile and unforgettable. If you’re seeking to take the road less traveled while you are with us, then Rugged Trail Nepal is the answer. You can rely on us to take care of all of your travel needs including adventure trekking packages, and holiday trips. Our Tour and trekking packages give you a one of a kind experience away from off the beaten track in Nepal. Whether this is your first, fifth, or twentieth time in the country, Rugged Trail Nepal offers you trips designed specifically to give you an extraordinary experience in the land of the Himalayas. We are a friendly company with vast experience in both the outdoor adventure business and short-term tours. We are committed to ensuring that you have a rewarding and safe time with us during your journey in Nepal. We practice ethical and responsible travel through all remote regions of the country and over the years, we have been blessed to earn the respect of both locals and visitors to Nepal. We offer a wide range of tours/trekking packages and tailored made programs as per the client's request. Understanding the spiritual value of the Himalayan land we organize some special trip packages such as Everest Yoga Trek, Yoga In The Mountains, Mardi Himal Yoga Trek, and Journeys to the Himalayas. We arrange the trekking and tours for groups as well as for an individual. None the less we also keep in mind the tariff of the tours and trekking programs. But we always assure of the standard of the services to be rendered to our clients. We have a team of experienced and dedicated people working in this field for the last decade. They are professionals in their respective fields like trekking, guiding, climbing, rafting, sightseeing tours, and in various adventures fields. You people will never disappoint if you ever make a trip with us. We also carry out special classical / Incentive tours and trekking. We work with the hotel's Luxurious hotels like Dwarika's, Hyatt, Yak & Yeti, and Crown Plaza, Shangri-la Group, Fishtail, and so on. We also keep in mind to budget class tourist so we have hotels like Manaslu, Woodland, hotel Tibet, Nirvana guest house, Mount Kailash, and so on. We also think of the comfort of the clients during their travel and visit so. We provide the best available coaches/ cars (air conditions). The straight of the groups. The standard of the hotels. We always adhere to our professional services so that our clients fly back to their countries not only with the nice memories but also with the satisfaction of their investment and traveling. We also organize helicopter charter flight sightseeing in and around Everest base camp.